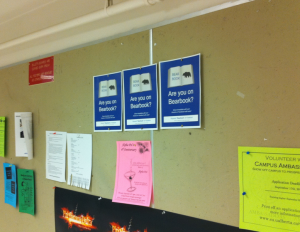 Bearbook is a Facebook application designed specifically for University of Alberta students. It began as simple way to share your timetable on Facebook to avoid the dreaded screenshot wall posts, but had progressed to allow for commenting, break finding, and textbook swapping. Check us on on Facebook, or check out the latest Bearbook news. Joel Adria is a 3rd year BFA Technical Theatre student at the University of Alberta. Yuri Delanghe is a 3rd year Math Honours student also pursuing music at the U of A. In his first year of University, Joel discovers the difficulty of finding his classmates on campus, and the awkwardness of posting timetables to Facebook as images. He explores existing solutions but they are inadequate and unused. Joel gets in touch with long-time friend and programmer Yuri Delanghe to begin initial discussions. Steve Kirkham, the developer of the defunct Bearscat puts on a talk at the Donut and Coffee Society of the Computing Science department. Now working at Google, Kirkham had developed a website that improved upon Beartracks’ poor course registration software and performed registration on the behalf of students. The politics and technical challenges he described inspired the continued development of Bearbook. Bearbook reaches beta status, and most of the core functionality has been established. In an effort to capture early schedule builders and Spring term users while maintaining beta status, Bearbook is released to the public on April 1, 2010. As further testing of the beta rolls out, users installs soar as popularity increases thanks to the viral sharing on Facebook. The 1000 installations milestone is hit on August 15th. Immediately prior to the first day of classes, a highly successful poster campaign is administered by founders Joel and Yuri, and #1 Fan Erin Valentine. Every bulletin board on campus is plastered with posters to put the word out in time for the first day of classes. Then, on September 1, just 15 days after hitting 1000 users, the install base doubles to 2000. Hundreds of new users flock to Bearbook during Week of Welcome. Bearbook.ca is launched shortly after the first day of classes, as a reaction to the need for a web presence outside of Facebook after bearbook.com (a social network for bears) prepares to leave beta. @danaditomaso BearBook app for Facebook is really well done, kudos! Bearbook isn’t finished for 2010 yet, as its install base surges past 4000 users and starts a Facebook ad campaign in preparation for Winter semester. 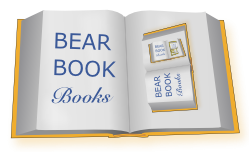 Just in time for Winter semester, Bearbook Books is introduced. With a multitude of schedules at its disposal, Bearbook notifies you when a friend has taken a course before you and may have a book for you to obtain. Features are added to allow you to view who your friends are in classes with, further opening up opportunities for user exploration. Another milestone is achieve, after record-breaking 403 new users add Bearbook the day before classes resume in January 2011. A manual upload feature is added, to allow for draft schedules can be uploaded, rather than using calendar files from Beartracks. Yuri and Joel reconvene to discuss the future of Bearbook and other projects.